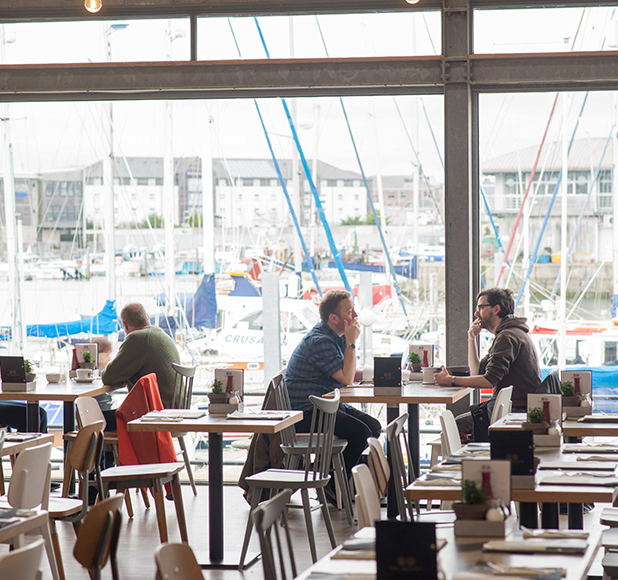 Harbourside Seafood Restaurant in the redeveloped, iconic Glassblowing House. Bailey Partnership were commissioned for the renovation of the previously known Glassblowing House in the heart of the Barbican, into a dual purpose restaurant and takeaway. 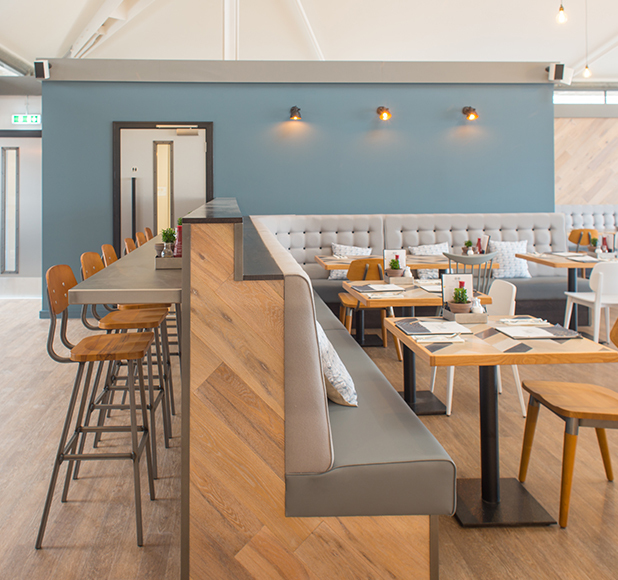 We strove to create a much more welcoming atmosphere for all to enjoy, warming the interiors up with lime washed oak cladding on two key walls, cosy cushions, booth seating and a mix of vintage style seating. 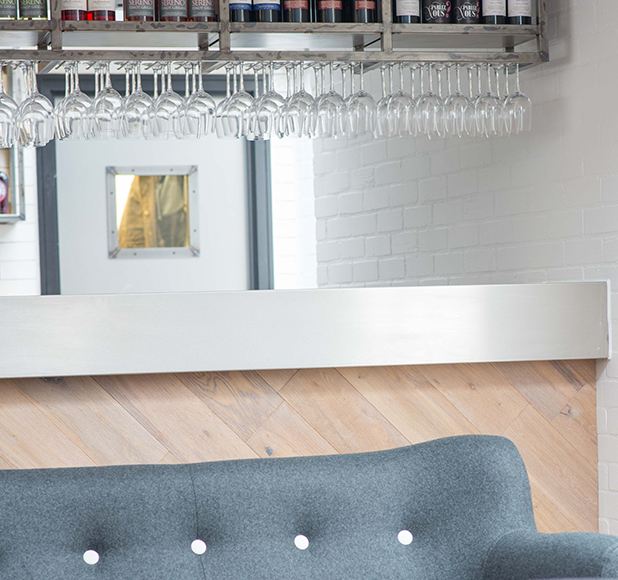 The restaurant was completely transformed with renewing all elements throughout including the main dining area, bar, servery, state of the art kitchen facilities and smart WC area. The open plan layout created a flexible, but efficient seating arrangement to cater for all parties and also makes the most of the new extended fabulous views of the harbour through the glass frontage.